Elfridges raised £1140!!!!! Lovely total. Thanks everyone for your support. It was the first time the parent council organised this kind of event, and lots of people said they enjoyed it. It was about doing something for the school community and raising a bit of money – totals to be announced in due course. Prize winners – who have not yet heard – will be notified on Monday. The parent council will discuss all feedback about Elfridges at our first meeting on Monday January 14, John Muir Campus, School Library, 7pm. Comments are taken on board when planning future events. Meeting to start planning Christmas fundraising event at Hallhill tonight, 7.30pm. Meeting to start planning Christmas fundraising event at Hallhill tonight, 7.30pm. Happy to see folk who fancy pitching in. Collect vouchers in The Sun newspaper from tomorrow and we will secure £550 of free children’s books for Dunbar Primary School. Boxes for vouchers will be placed in the foyers at the two campuses and at Knox Newsagents. We have until Nov 18 to collect 3500 tokens. Let’s do it! Dunbar Parent Council meets next Tuesday (sept 11), 7pm in John Muir school library. Come along. 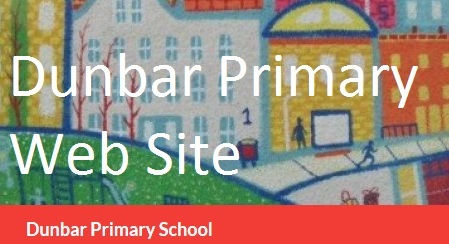 Could anyone help stick the Dunbar Primary school calendar this coming Friday morning (Sept 7)? We really need volunteers. Meet in the foyer at John Muir campus after drop off or join us in the canteen when you can. It’s a fun job, sociable job, but we really need folk to pitch in. Thanks so much for helping. Agree dates of future meetings.